Spitfire, Mustang, Fortress, Lancaster — these names speak of danger, speed, power and regal bearing. Compared to these Cinderellas of the air, the flying boats of the Second World War, big and ungainly-looking, are the ugly step-sisters. And their main mission? Reconnaissance, hardly the stuff of adventure. Yet this role, of vital importance on any battle front, was especially vital over the vast distances of the East Indies and the South Pacific. The games Strike South and Eastern Fleet, which cover this theatre, model this well. As with all the games in the Second World War at Sea series, effective aerial reconnaissance is the difference between success and failure, because what you can’t see you can’t hit. A museum piece today, this PBY-5 served the MLD in 1941. At the outbreak of the Pacific War on December 7, 1941, both the British and American fleets in the Far East were desperately short of long-range reconnaissance aircraft. The Americans had 28 operational PBY flying boats, Patrol Wing 10 (PatWing10), based in the Philippines, while the British had just a single squadron, No. 205, with about a dozen more Catalinas (the RAF designation for the PBY), based at Singapore. The overall Dutch contribution to the Allied war effort against Japan was relatively negligible: a squadron of light cruisers and support vessels, a small flotilla of modern submarines, about the equivalent of two divisions of ground troops, and 200 or so combat aircraft. The first Allied casualty of the Pacific War happened a few hours before the Japanese raid on Pearl Harbor. It was the Catalina PBY FV-W of 205 Squadron, piloted by Flight Officer P.E. Bedell. While on patrol off Singapore, it was engaged by a Japanese E13A1 Jake floatplane. Bedell’s plane was faster than the Jake, but the Japanese followed long enough to direct six Ki-27 fighters onto the Catalina. In a brief fight, the Catalina was shot down with the loss of all her crew. The war soon intensified. As promised, the Dutch sent a flight of three X-Boots to Seletar airbase in Singapore, and also gave the British three spare PBYs. Two other flights of Dorniers based in northwest Borneo were also detailed to cover the seas off Malaysia. Hit by two bombs dropped by Flying Officer Sjerp's Dornier, destroyer Shinonome went down with all 228 aboard. The first kill for the MLD came on December 13, when the X-22 shot down a G3M2 Nell bomber with its 20mm cannon. December 16 saw what may have been the first ever “dog fight” between two flying boats, the Dornier X-30 versus a Kawanishi H6K Mavis. The X-30 hit the Mavis’ inboard engine on the starboard, but return fire knocked out the X-30s center engine and its electrics. The crippled Dutch plane then successfully withdrew. Another inconclusive fight occurred December 20 between a pair each of Dornier and Mavis flying boats. On December 17, DD Shinonome was sunk with the loss of all on board by the X-32 off the coast of Miri, Borneo. On December 23, two full flights, six X-Boots, raided Davao, recently captured by the Japanese, inflicting some damage on ground installations. On December 20, the X-35 successfully directed the Dutch sub K-XIV into a Japanese invasion flotilla off Kuching. The submarine sank or damaged four transports. This was a type of operation the MLD had specifically trained for before the war, but opportunities for such co-operative efforts would not last long. With the formation of the ABDA central command in early January, the Dutch effectively lost control of their long-range squadrons. All reconnaissance squadrons were put under a central command called Rec-Group. While a Dutch officer, Captain Bozuwa, would eventually come to command the group, Dutch pre-war doctrine of air-naval co-operation was supplanted. The idea, which looked good on paper, was to set up a kind of central clearing house for information gathered by the reconnaissance aircraft. Language, doctrine and differing command styles led to disastrous backlogs, and the Allied surface forces effectively sailed into combat blind. The Dutch Admiral Helfrich said that where an air-to-ship message before the war would take no more than 10 minutes, under the new command structure, it could take up to six hours, making the information hopelessly out of date. A Do.24K of the MLD, 1941. 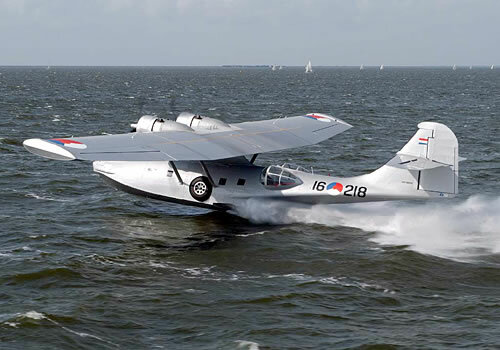 By the middle of January, Dutch flying boats were again being used as a long-range strike force. For a couple of weeks, the force had been conserved for reconnaissance duties, but the Allies had few other aircraft with the range and hitting power of the flying boats. Another vital duty of the flying boats throughout the campaign was the sea rescue of air and naval crew from destroyed aircraft or sinking ships. With the loss of the Philippines, the remnants of PatWing10 evacuated to Java with just 10 remaining PBYs. The Dutch gave the Americans five spare PBYs, very welcome reinforcements. 205 Squadron was hit by a raid on January 17, losing four of nine aircraft. On January 29, the last five Catalinas left Singapore for the base of Tandjoeng Priok in Java. The Japanese, meanwhile, methodically drove the Dutch MLD out of its forward bases. Between January 19 and 22, the MLD made repeated raids against the Japanese at Kuching, but by the end of the month, the MLD had been largely driven back to Java. Altogether, the MLD lost eight flying boats in December and five in January, but the really catastrophic losses would come in February. By February 11, the MLD had halted most offensive operations. With Japanese ground-based fighters now within range of Java, it was difficult for the Dorniers and PBYs to carry out their missions in daytime. Between February 8 and 25, nine Japanese air raids devastated the main MLD base at Morokrembangan, near Surabaja. Morokrembangan had been the largest and most well-equipped naval base in the world. PatWing10, down to three aircraft, began to evacuate to Australia. 205 Squadron, down to two Catalinas, also flew off to Australia. The MLD scattered its flying boats across the interior of Java along rivers and small lakes. The Japanese hunted out these bases one by one. Still, in spite of mounting losses on the ground and in the air, the MLD mounted daily missions, reconnaissance and air-to-sea rescue, saving hundreds of Allied sailors. Equipment could not be adequately maintained, and crews, with no chance for respite, were showing signs of critical exhaustion. 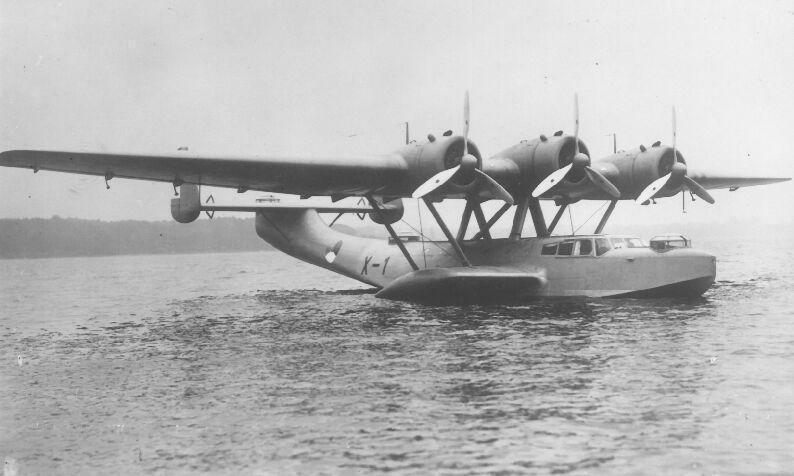 On February 26, the Dutch PBY Y-67 directed three waves of air strikes against a Japanese flotilla, including a variety of Allied bombers, but without result. The next day Y-45 spotted the Japanese invasion convoy heading for Java. This sighting led to the Battle of the Java Sea and the effective destruction of the Combined Allied Fleet under Dutch Rear Admiral Karel Doorman. The invasion of Java followed on March 1, and eight days later, the Dutch forces on the island surrendered. The MLD lost 24 flying boats during February and 19 more in March. A final disaster occurred with the Japanese raid on the Australian port of Broome on March 3. Many refugees from Java, civilian and military, had accumulated here. The Japanese attack destroyed 23 military and civilian aircraft, including both Catalinas remaining to 205 Squadron and all Dutch aircraft there, four Catalinas and five Dorniers. Nine surviving MLD Catalinas would eventually reach Ceylon to form the core of the RAF 321 Squadron. Six surviving Dorniers were sold to the Australians, but with no spare parts available, wear and tear eventually put all out of service. The crew that reached Ceylon desperately needed rest, and the aircraft also were in serious need of maintenance. But with a Japanese threat looming in April, and with few British aircraft, the MLD PBYs were back in operational service again. Fortunately for the Allies, the Japanese threat soon ebbed, and 321 Squadron had the opportunity to rebuild with spare aircraft from the United States (pre-war orders that could not be delivered before the fall of Java). You can make optional changes to the scenarios listed below to better reflect the contribution of the MLD flying boats. In Strike South Operational Scenario 1, add one Cat (RNN) to the Allied at start forces in Singapore. In Operational Scenario 3, change the 3 x PBY in Java to 1 x PBY, 1 x Do24 (RNN) and 1 x Cat (RNN). In Eastern Fleet Operational Scenarios 3 to 8, add 1 x Cat (RNN) to the at start forces in Ceylon. Strike South is now available. Click to order!